Expect young bar hoppers and their admirers. The resident VJ plays Top 40 remixes and happy house as boys gather on the small but lively dance floor. 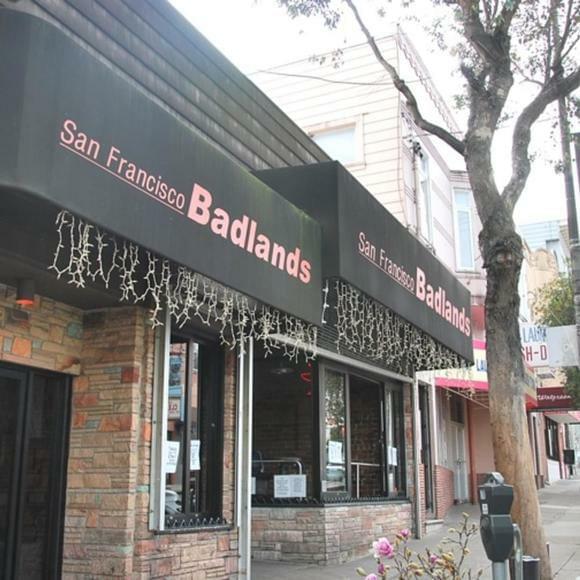 When did badlands get so bad. The Badlands has had many changes over the years ... but i always enjoyed it. Really the only place to dance in The Castro. Attracts all kinds - young, old, straight guys that flirt with the gays, and gay guys with their straight girlfriends. Pretty good music (not great) Pop, Hip-Hop, R&B and Dance. Lots of two fer one drinks and usually a line to get in on the weekends. The dance floor gets toooo damned crowded for serious workin' out of the dance moves but with a few well placed elbows you can make room. Definitely the place you'll run into Ex's or old tricks so be ready for all of that. Drinks specials and good music, the crowd was friendly and am filming. Mixed ages in the crowd, had a really good time. You have to go to have the true Castro experience. and the drink specials are great. Service is so so, but you can't have it all. The crowd can be very mixed. Awesome place to have fun with friends, great value special drinks on happy hours, great music and area to dance. Peeps are friendly and no attitude. had a great time!! I frequent this place often. I broke my ankle recentlty and I am sitll recovering. I went to meet friends this evening and the bouncer denied me access. I was not drunk and he would not allow me access. I left. I go to this club often and I was completely sober when I went to the front door. I have hard they have discriminated in the past and this bouncer at the front of the bar was completely discriminating. Very disappointing but I will not go back again. This is a cool bar/club in the heart of the Castro. People here are very welcoming and friendly. I love this place. I was a vj there from 2001 to 2003 loved it and now tha I live in PA I miss it bad!!! Always a fun place! !